Scientists have made big advances in light-emitting diodes and other lighting challenges, but fundamental questions remain. 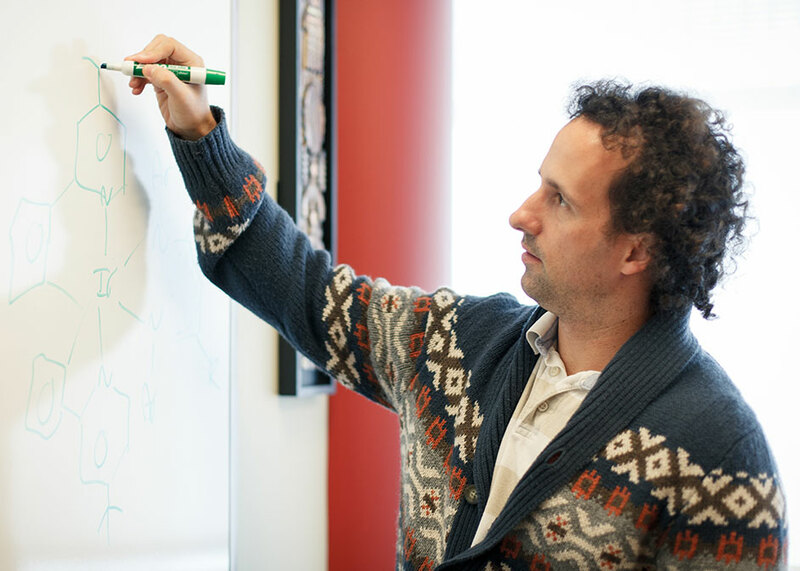 Chemist Thomas Teets has received a National Science Foundation CAREER Award to study the interaction of light with organometallic compounds. An assistant professor of chemistry at the University of Houston’s College of Natural Sciences and Mathematics has received a five-year, $589,000 National Science Foundation CAREER Award to seek answers. Organic LED displays – used in signage, television screens and other electronics – use a combination of red, green and blue pixels to generate life-like images. But stable, efficient materials capable of emitting blue light have proven elusive, Teets said, noting that light-emitting materials which function at the blue-light end of the spectrum suffer both from poor stability and poor efficiency. Similarly, he said there is a need for more efficient compounds capable of emitting light in the near infrared spectrum, which is desirable for medical devices, night-vision equipment and other products. In addition to the research component, Teets will spearhead several educational projects: a lab module to introduce children from kindergarten through high school to the ways in which light interacts with chemical compounds and a public lecture series designed to introduce art enthusiasts to the chemical principles behind the creation of colors.